I decided I like Shelfari better. Better graphics and I'm all about the visual. I also decided it that if I'm going to use it, that it makes sense to add to it from books I buy from now on. So what have I bought lately? 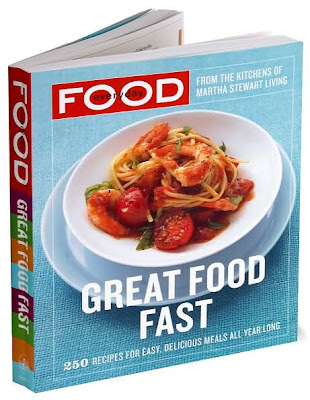 Two books, one practical, one just for fun, both about food. First is Gordon Ramsay's memoir. 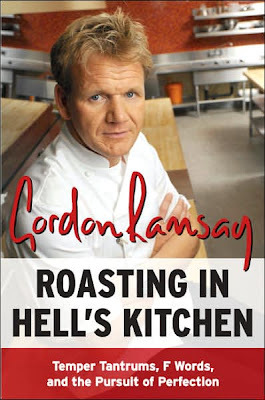 I have to admit I'm a fan of Hell's Kitchen and also his BBC show Ramsay's Kitchen Nightmares. He's loud and rude and swears a lot, but down deep there is a guy who wants the people he works with to do the very best they can and never give up. Not condoning this as a way to run things, but it certainly makes for good television. I mean, you know the guy has a big heart, offering to pay for Julia (different Julia) to go to culinary school! I'm still in the middle of my New Yorker, so I haven't started the Gordon Ramsay yet, but soon. Wow. I like Gordon and what he does even if he is a little rough at times.